Access Management is a set of techniques that the Maryland Department of Transportation State Highway Administration (MDOT SHA) uses to control access to State highways. Access Management Flow Charts describe the review cycles. 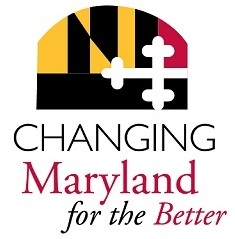 MDOT State Highway Administration Access Manual "Updated August 2016"
In April 2010 a Highway Access Permit Stakeholder Review Group streamlined the process for granting access permits that connect new developments to Maryland’s highways. The results are reflected in the current process, which applies to residential and commercial access requests. Access management representatives from your local MDOT SHA district offices can assist you in applying for a permit. You need a permit for the following activities within the State right of way. For a Commercial/Industrial/Residential Access Permit, see above. Coordinate with your district office for further information on obtaining a permit. In addition, all utility work must be coordinated with and permitted through the district office. Note: In 2016 we hosted a public forum to gather feedback from customers and make improvements. Click here to read the executive summary.